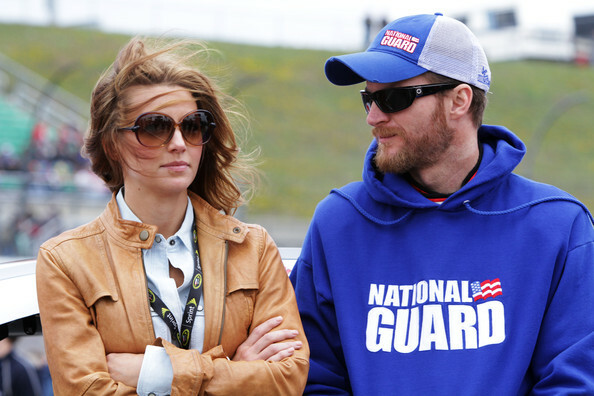 Is Dale Earnhardt Jr. getting married at Daytona? Driver speaks out! On Thursday the National Enquirer wrote about Dale Earnhardt Jr’s $2 million wedding which was to take place at Daytona International Speedway. That story left fans of Earnhardt wondering if it was true or not. “His wedding ceremony will be at the Speedway — led by a procession around the track in racing-themed cars and ending with a checkered flag at the finish line!” read the story which also said that 2,000 of Earnhardt and girlfriend Amy Reimann’s closest friends would be attending. The story is false Earnhardt is not getting married. In fact the driver of the No. 88 Chevrolet SS revealed that the couple was not even engaged yet. “We just skipped the engagement, I guess. Just went right to the wedding,” said Earnhardt Jr.